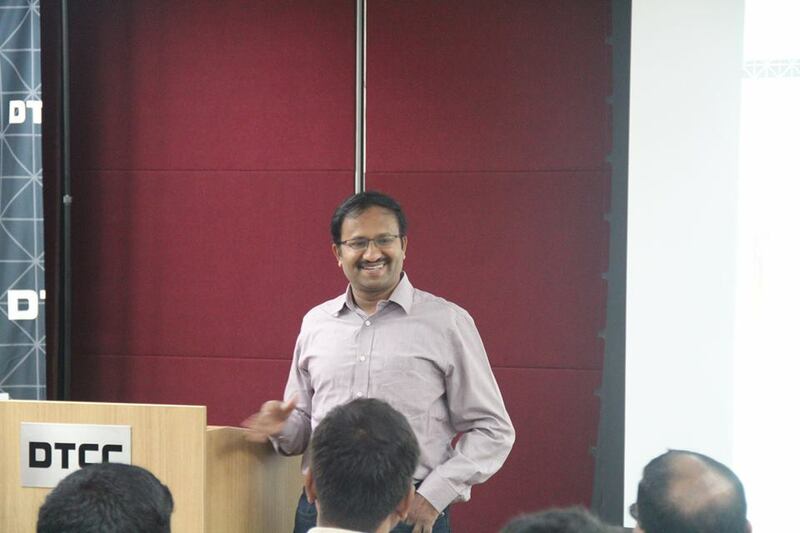 AIOUG so far conducted(conducting…)annual events in any one city and Tech days in few cities on early once basis. Now to reach more and more Oracle professionals AIOUG comes with the concept of regional chapter, Yes this is necessary in order to let oracle professionals meet and share knowledge through user group events i.e. AIOUG. Probably who ever active in community or with the active members references they might know what is AIOUG and what is the them behind that. 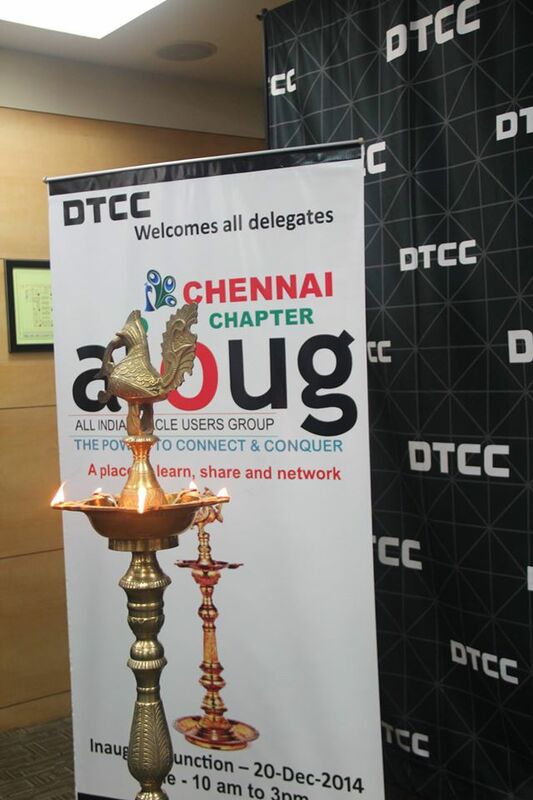 So now AIOUG is trying to reach each city and started regional chapters and In south india initially started in Chennai, it’s named AIOUG – Chennai Chapter. For AIOUG – Chennai Chapter, There is a lot of hard work and everything happened in just 2 weeks, They are: Satyendra Kumar – AIOUG Board, Sai JanakiRam – AIOUG Board, YV Ravi Kumar, Somu ChockaLingam, Midhun Gandhi , Me and the key person who arranged this meet Hariharaputhran. 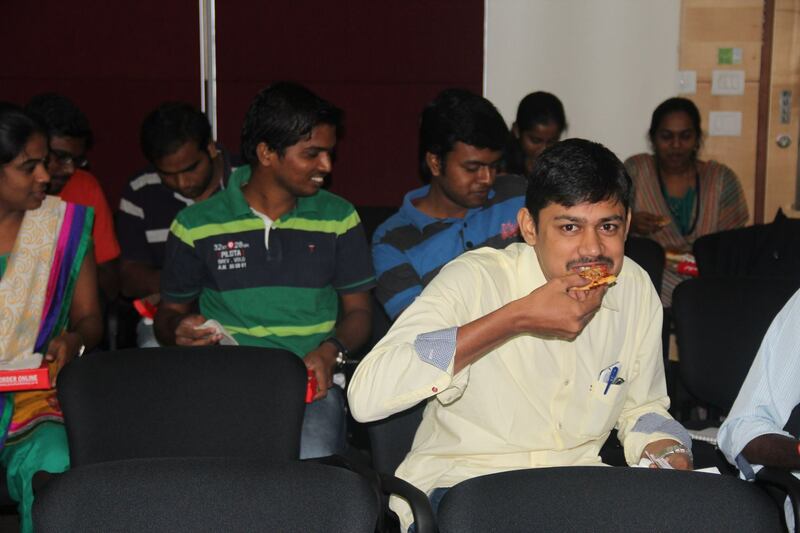 In fact AIOUG – Chennai Chapter officially discussed in SANGAM14 event which occurred in Bangalore. 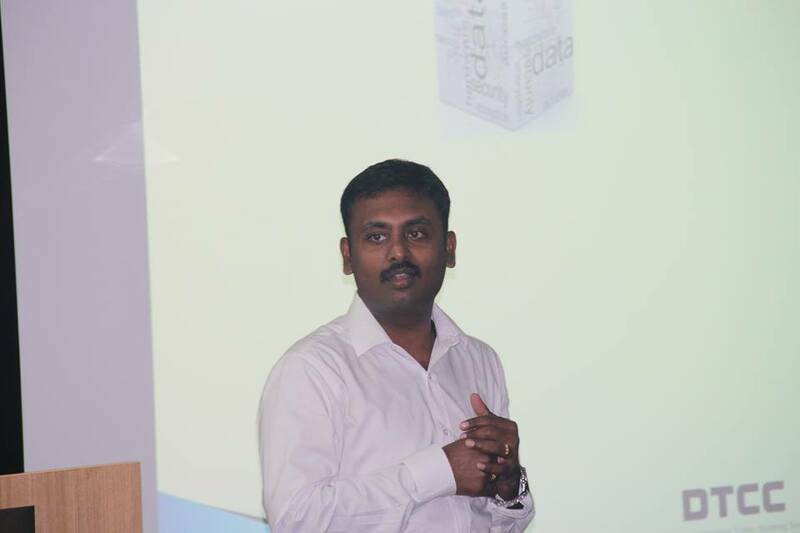 So within a month everything ground work completed and finally AIOUG – Chennai chapter inaugurated on 20th of December 2014. Take a look of banner of AIOUG – Chennai chapter, there is hardwork from Hariharaputhran and Veeratteshwaran Sridhar to get it done. 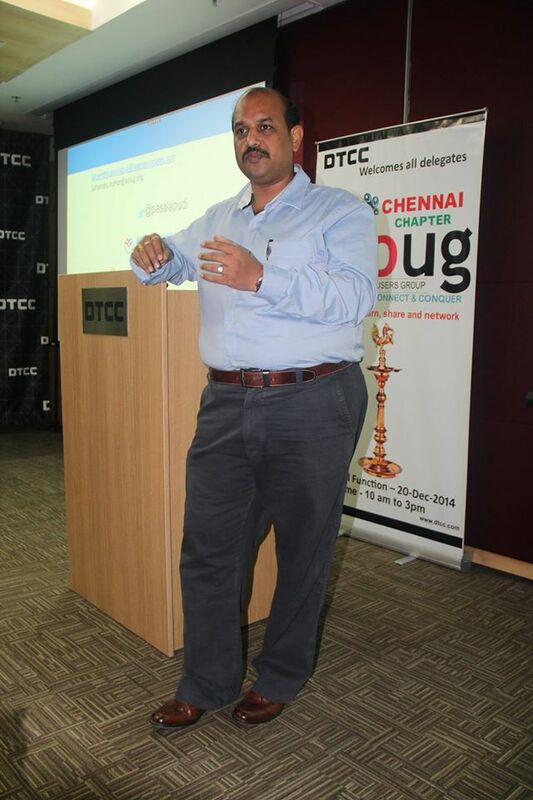 First Satyendra explained about AIOUG, How previous events are performed and what AIOUG expecting from attendees , mixed past experience of AIOUG so on… Later DTCC Vice president delivered short key note about DTCC and what exactly DTCC is and growths until 2014 and they are very happy for conducting Chennai chapter behalf of DTCC and then followed with the brief session from Chief guest Ramalingam Ramanathan(Below pic) regarding the importance of user group and networking. The next technical session is from Me 😉 The sesion is : “Rolling Upgrades – Minimum Downtime 11g vs 12c”, I’ve explained what is rolling upgrade, when its introduced, what is new in 12c with DBMS_ROLLING , how simple to use new feature and so on 🙂 Unfortunately my voice is too low and not sure whether its reachable to attendees or not. After my session….Now its Lunch session, Lunch is something special i.e. Pizza and soft drinks 🙂 Yes every body enjoyed it and Special thanks to DTCC. After Hariharaputhran session, there was an interesting session i.e. 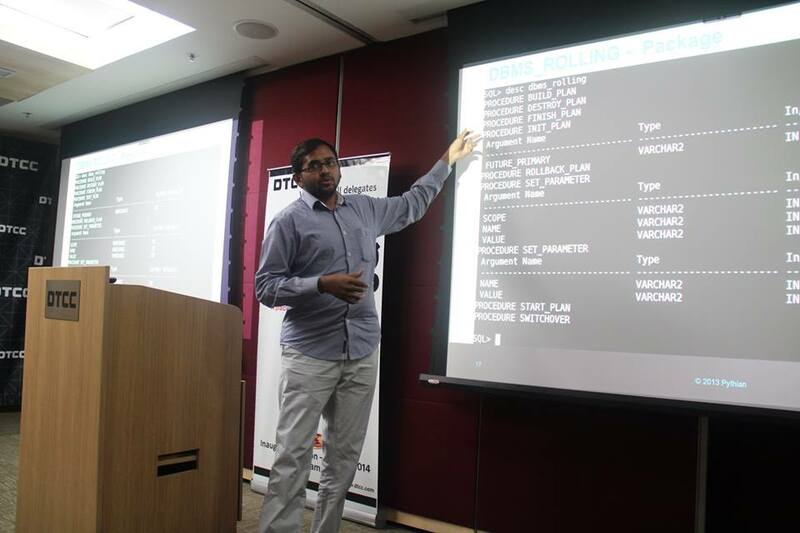 Q & A, There are many questions from attendees on tuning, Satyendra explained everything using the Real-Time AWR report and explained each section how to analyze. It was pretty cool. Now we are done with our first Channai chapter and it was big success and i can sense all attendeees are happy and am sure they will attend in the next event along with force 🙂 But.. 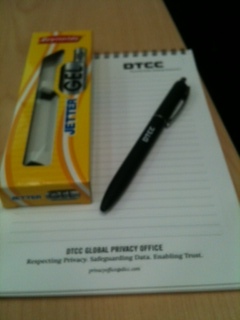 But we all should say a big thanks to DTCC and team for providing Venue, Lunch, Photography … everything..